The trusted name in master data management. Stibo Systems’ unique business-first, people-centric approach has made our MDM solutions the choice of forward-thinking companies around the world representing a broad cross-section of industries. Working together, we’ve helped them unlock the strategic value of their master data in order to improve the customer experience, spur innovation and drive business growth. In doing so, we’ve also empowered them to create an essential data-driven foundation for competitive differentiation and digital transformation. A privately held subsidiary of the Stibo A/S group, founded in 1794, Stibo Systems is headquartered in Aarhus, Denmark. From the start, we've had a vision for the future that’s led to a history of innovation. Why Stibo Systems Your business first The way consumers buy is changing rapidly. From today forward, data is how business will be done — regardless of your industry. Our solutions and people help turn your data into business value drivers. A continuous history of innovation. From the very beginning, Stibo Systems had a vision that’s lead to an ongoing stream of innovation. But if there’s one thing we’ve learned helping companies around the world achieve value from their information, it’s that the emphasis needs to be on the business, not the data. 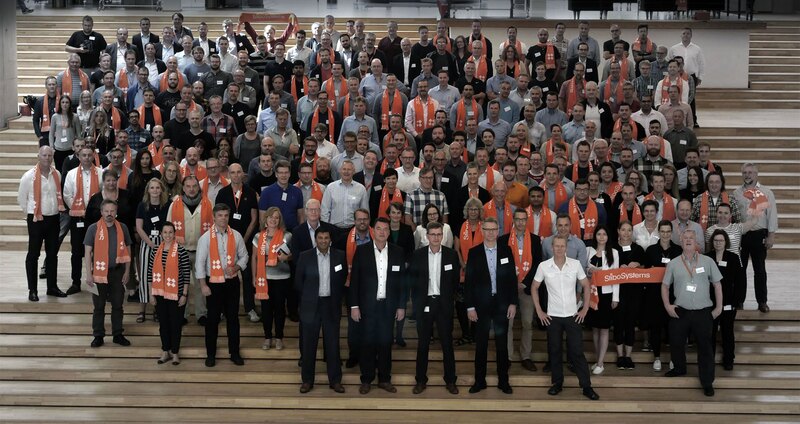 The Stibo Systems team now includes more than 600 employees working out of 18 offices in five continents to serve the needs of regional and global businesses around the clock. Customer commitment We're committed to putting Your business first in everything we do in order to drive superior business outcomes, to empower our customers with the strategic and operational information they need to outperform others and to always put our customers at the center of everything we do to help them succeed. Confidence and collaboration Based on a culture that fosters humble confidence and collaboration, our data experts are easy to work with and understand how to operationalize your data assets in ways that improve customer experience and business outcomes. With more than four decades of expertise from retail, distribution, manufacturing, fashion and lifestyle and more, we deliver solutions that help you manage and ensure data quality and accuracy, so you can improve customer expectations for personalized experiences. Foundational ownership We are a stable, privately held, AAA-rated company. We are run as a foundation, which allows us to focus on the long-term development of a strong product portfolio and obsess about servicing our customers. All without the interruptions of mergers and acquisitions. Technological innovation Our multidomain MDM platform integrates multiple applications and data sources, giving you a 360° view of your business and customers. Created with usability for your business users in mind, the comprehensive, seamless and scalable platform eliminates redundant data processes and helps you grow your business. Global mindset Our Danish roots mean that we have served global customers based on a strong global organization offering solutions geared for global implementations ever since our inception. Today, our 600 employees in 18 offices around the world help customers maintain their trusted source of operational data. Read Niels’ thoughts on being a socially responsible, humble organization. Our values bring value to you. Stibo Systems is a company that’s ready to lead based on deep knowledge and experience within the MDM space. We are equally ready to listen and learn from our customers and to do whatever it takes from there to empower them to achieve success. We use the values that drive us as a company to do just that. Our word is our bond and the basis of trust between us and our clients. When we make a promise, we keep it. In a world of constant change we strive to energize and be energized by what we do as teams. We embrace speed and confidence, but never arrogance. We measure our success by the success of our customers. We empower employees to think independently, get excited about new ideas and make it everyone’s responsibility to add value in everything we do in order to build a smarter Stibo Systems. 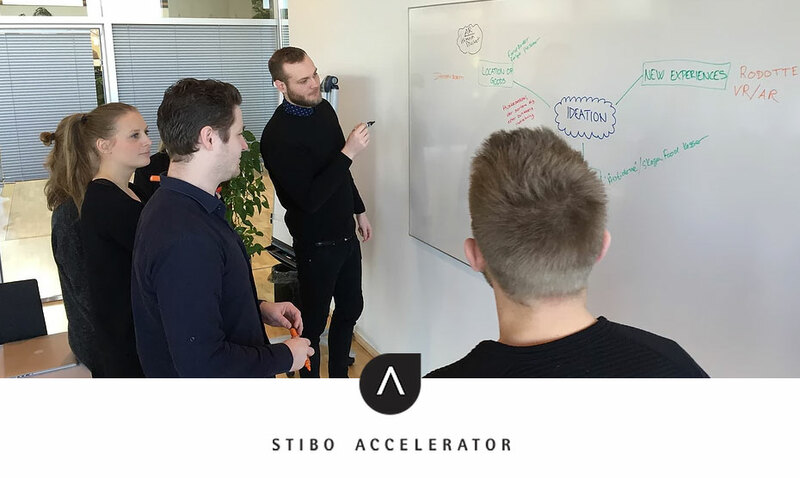 Stibo Accelerator Tapping into the awesome creativity of students and startups. Stibo Accelerator applies the unique strength of the Stibo network to bring research and entrepreneurship closer to the industries we operate in. By providing teams of students and startups, the best possible setup for exploring new trends and technologies, we give value and ideas back to industry partners and further the growth of participants.